It's a crime. 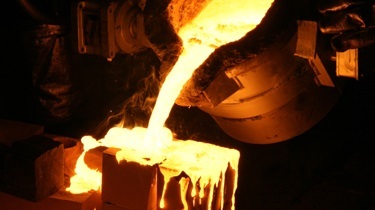 Most Americans living today have never held a hefty, gleaming U.S. Silver Dollar in their hands. Where did they go? 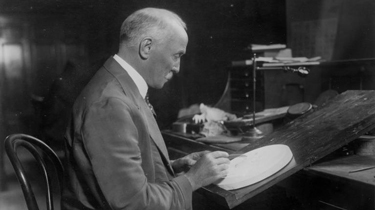 Well, in 1918, to provide aid to the British during WWI, the U.S. government melted down nearly half of the entire mintage - over 270 million Silver Dollars. If all those missing Silver Dollars could be stacked, they would tower over 400 miles into the sky! If laid in a chain, they would span 6,400 miles - enough to stretch from New York to Los Angeles more than 2 1/2 times! These vanished coins were not just any Silver Dollar - they were America's largest circulating coin, the beloved Morgan Silver Dollar. 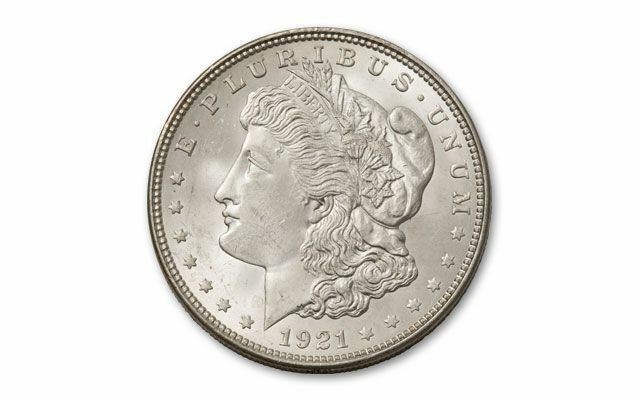 Each Morgan Dollar is struck from nearly an ounce of 90% fine silver and measures a massive 38.1mm in diameter. Morgan Silver Dollars were the engine of the American dream for decades. Created by famed American coin designer, George T. Morgan, they feature Lady Liberty's radiant profile and a majestic eagle; both symbols of American strength and prosperity. Since their inception in 1878, they jingled in the pockets of famous and infamous Americans like John D. Rockefeller and Teddy Roosevelt, and desperados Jesse James and Al Capone. Today, Morgan Silver Dollars are the most collected coin in America. Just three years after the massive meltdown, the government gave the Morgan Silver Dollar a final chance to shine. 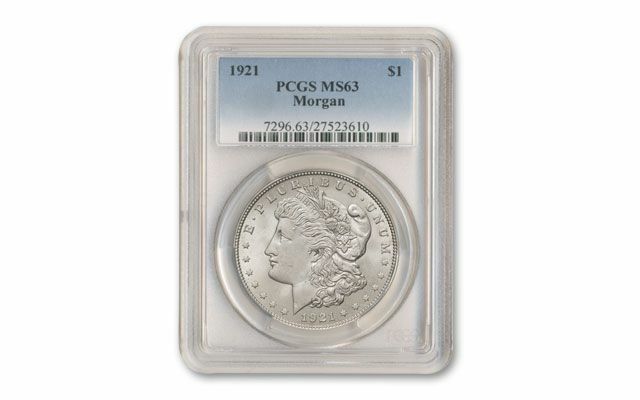 In 1921, facing a serious shortage, the mint struck Morgan Silver Dollars for one more brief, historic year. Today, the last-ever 1921 Morgan Silver Dollar belongs in the hands of collectors, history buffs, or anyone who values the artistry and legacy of this American classic. 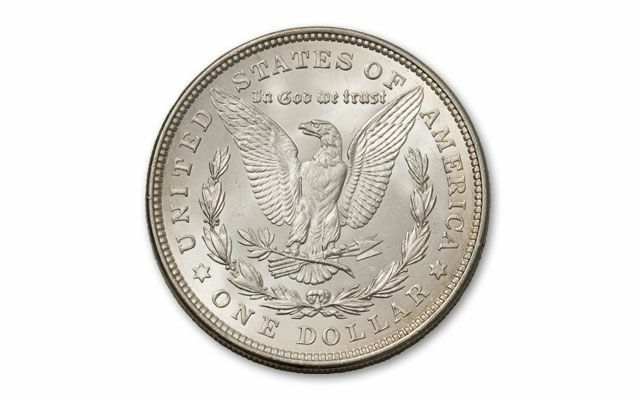 Saved from destruction, but bound for extinction; it's been estimated that less than 15% of all the Morgan Dollars ever minted have survived to the present day. And, the number grows smaller with each passing year. 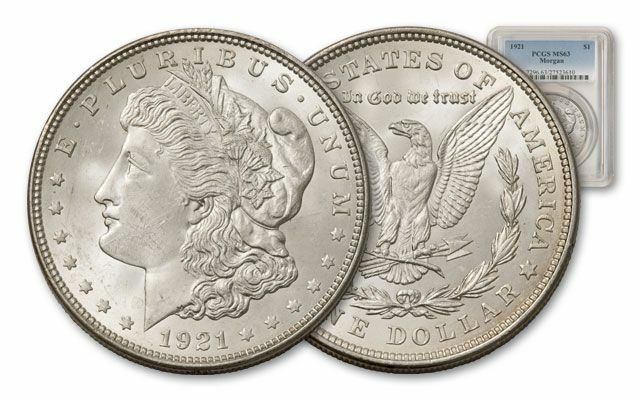 The 1921 Morgan Silver Dollar is the last of its kind. But, you can get one now before they're only a memory. Your chance to own this legend won't last long, so get yours today - and at a fantastic value! You can own this genuine last year Morgan Silver Dollar graded by Professional Coin Grading Service (PCGS) now in Mint State-63 (MS63) condition, and for a surprisingly low price. Act now to secure yours before our supply is gone!